biking trails. 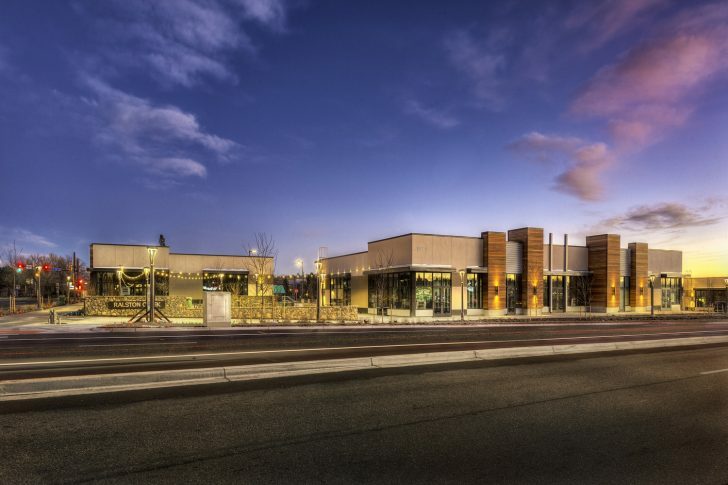 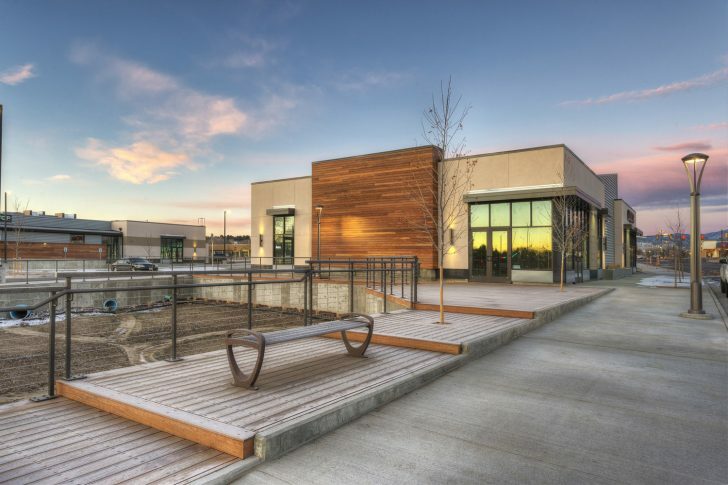 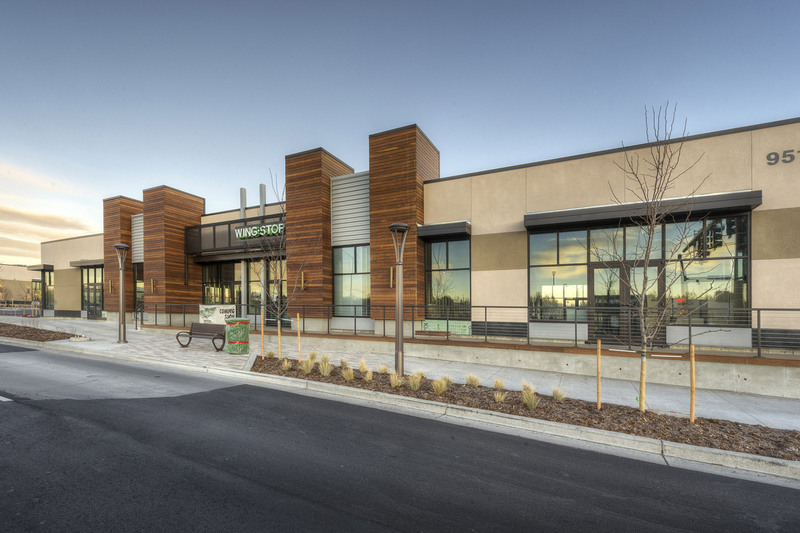 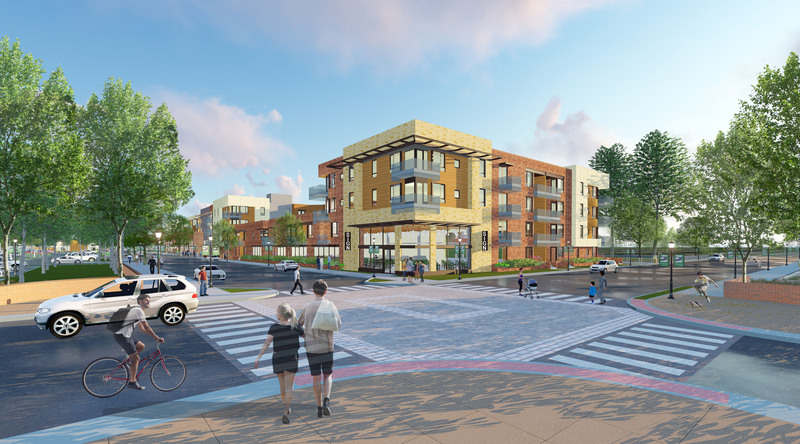 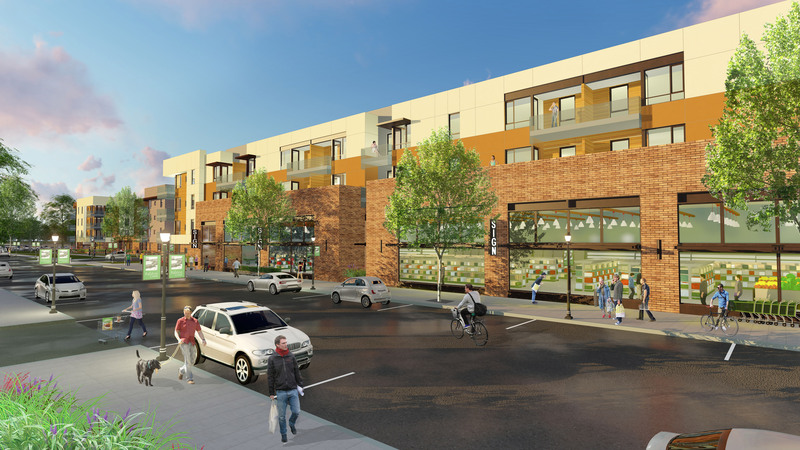 Ralston Creek creates a pedestrian oriented environment that blends commercial spaces consisting of restaurants, cafes, shops and a grocery store in concert with 315 residential units. Smaller “High Bay” 1 and 2 story commercial buildings front the busy Ralston Road creating store front visibility and pedestrian orientation with site based parking to the rear of these buildings. 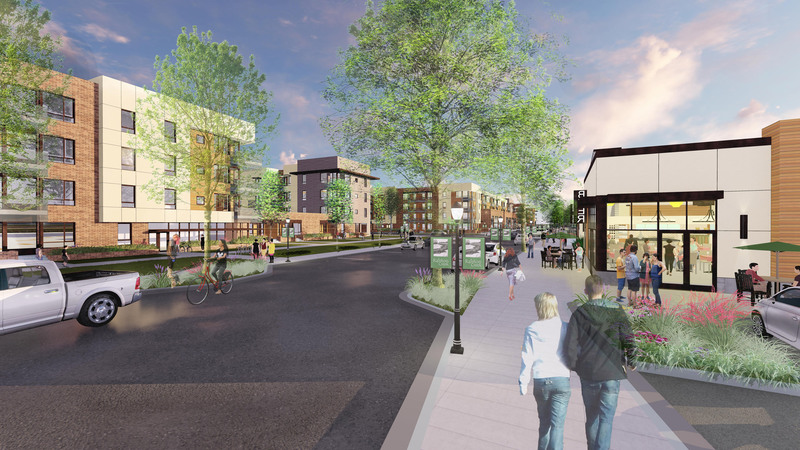 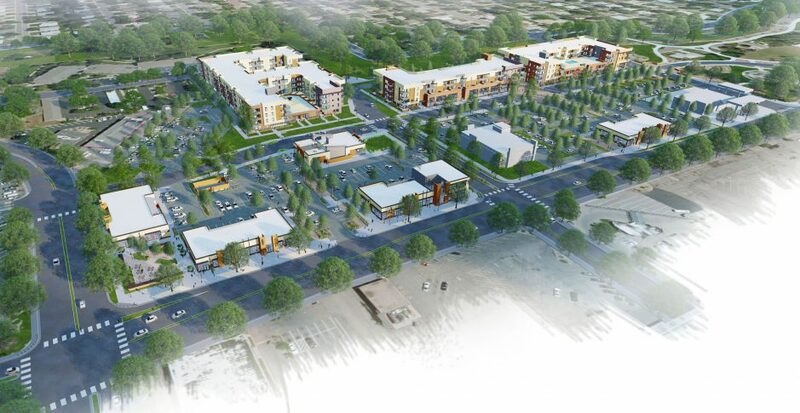 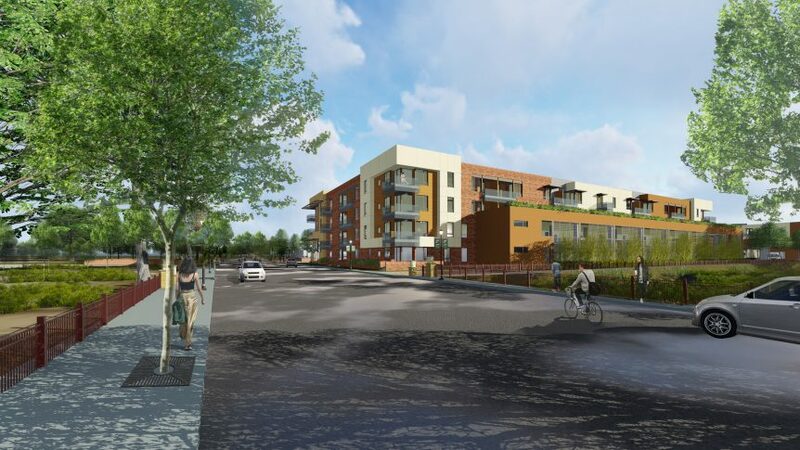 Taller residential and mixed use buildings of 3 & 4 stories help frame both a new east / west Main Street that connects to the new Central Park, as well as engage the regional water course of Ralston Creek. 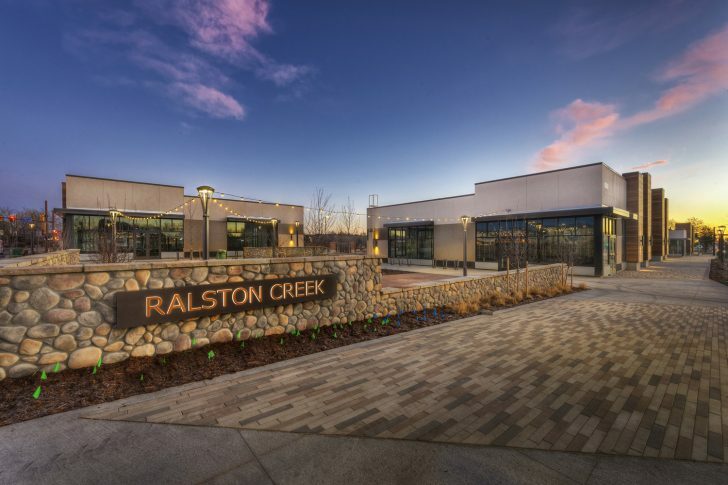 These residential buildings have structured parking and feature 3 unique courtyards and other private terraces that overlook the Main Street and Ralston Creek.